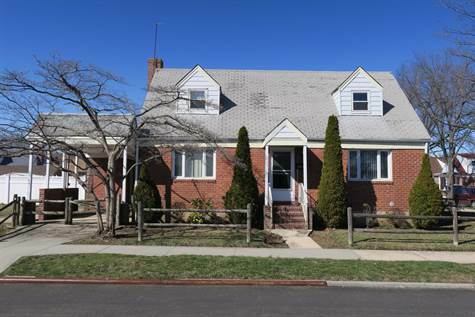 Style: 2 Story "Expanded Cape"
Basement: Yes, Full "Full Finished"
4 Bedroom 2 Full Bath Expanded Cape. Hardwood Floors Preserved Under Carpet. Full Basement And Breezeway. Gas Heat. Large Corner Property With 2 Side Yards. Community District #26. Located Near Transportation, Schools, And Shopping.